Well....actually there is also a third one....but she is alllllll mine! I am going to use her for crafty storage while we are on holiday. You could also stash your current crochet or sewing project or sketchbook and pencils or snacks or general nicknack's or knitting or toys or.....what am I missing?? There must be something else? Anyhow, you get the idea, super useful in two super useful sizes and unique and pretty - all in one perfect little package. I will try and sneak a few photo's of my Christmas-y gift projects tomorrow, while little eye's are otherwise diverted....a doll minus legs, an elf minus a couple of eyes and a backpack that is not yet a backpack...oh, and a cat that is cunningly disguised as a roll of felt! There are a few other bits and pieces in the works, but you will have to wait until after Christmas to see those. 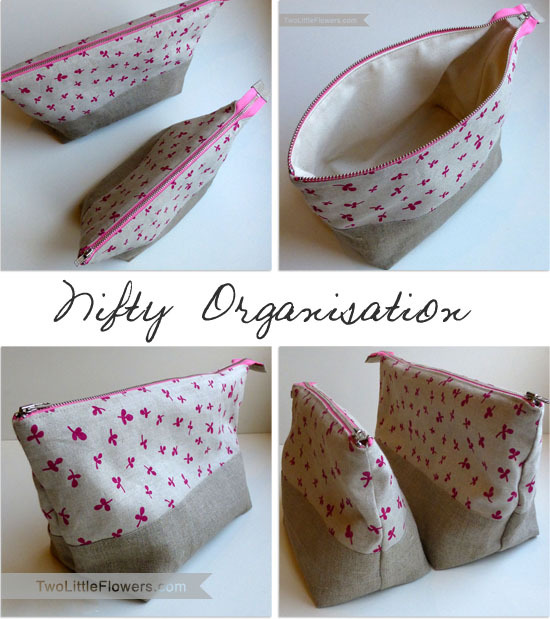 If you fancy nabbing yourself one of these pretty pouches, they can be found here.